The new two storey motor vehicle showroom and service facility was constructed for the Rolfe Motor Group. The new car showroom and external car display area are on the upper floor with the service facility and workshop located on the lower floor. The project has street appeal from both O’Brien Place and Gundaroo Drive and contains external parking for customers and display vehicles. The building comprises of structural steel framing, concrete floor slabs and a combination of fibre cement and Alucobond external wall cladding. Internally the finishes are of a high quality to the showroom for the display of new cars. The project also included a personnel lift to access both floors. This is the fifth dealership that continues a long history between the Rolfe Motor Group and Project Coordination. 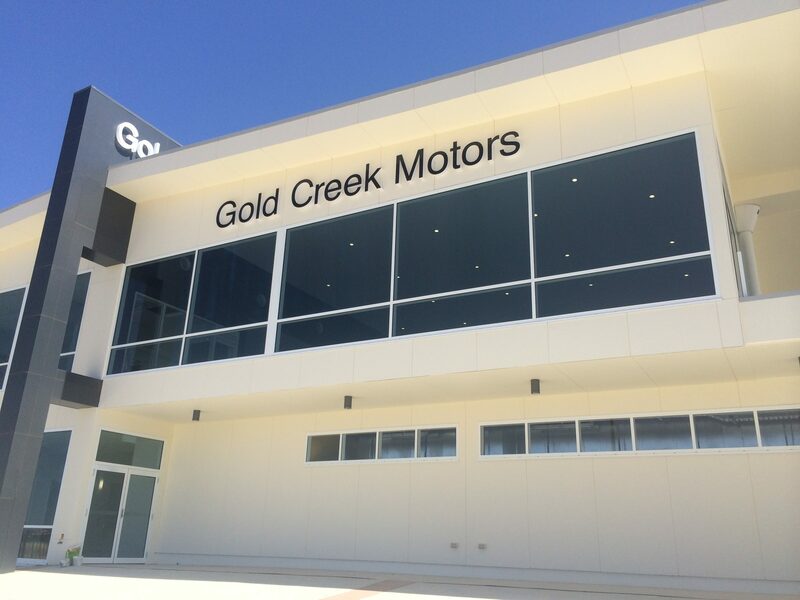 The striking design was produced by local Architect Eric Martin and the dealership further enhances the growing reputation of the Rolfe Motor Group and the Gungahlin Commercial Area.